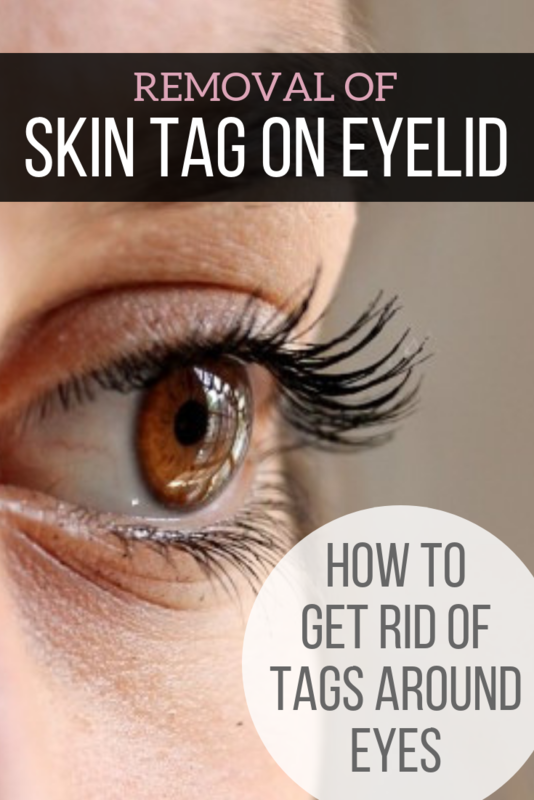 Skin Tag on Eyelid Eyelash Line: How to Remove Tags Around Eyes? The embarrassing skin tag on eyelid and eyelash line can really lower your self esteem. This is because, when a person speaks to you, there will be eye contact and it is inevitable that the skin growth around your eyes will become clearly visible. So how to remove skin tags on eyelid and around the eyes area, including the factors to consider before choosing your skintag removal options? Skin is the largest organ of the body which covers the body from head to foot. It is through the skin that human beings are able to withstand different climate. Like other parts of the body, skin also gets many health issues. Skin problems may cause itching, irritation and burning feeling – while skin tags are very common small, soft skin growths. Skin tag grows in different parts of the body especially on the eyelids, under eye, neck, under the breasts and armpit, etc. Though skin tag is harmless, it may be bothersome for some people. Large numbers of people who have skin tags have them appeared on eyelid, eyelid rim, on lower eyelid or above eyelid. It may be on single eye or on both the eye lids. According to NHS UK, anyone can develop skin tags. Some people develop them for no apparent reason, but they are particularly common in older people, people with diabetes, and pregnant women caused by changes in their hormone levels. When a person talks to another person or a person listens to the other person, it is common that they will look to the eyes of the other person. So whenever a person sees the other person who is having skin tags on the eye lids, then it will be clearly visible. There are many people who say that it is embarrassing and annoying that they have skin tag on eyelid and it affects their look. Skin is the one of the main factor which expresses the beauty of the person and as the person has skin tags on the eye lids, they think that it adversely affects their look and self-esteem. So can skin tags on eyelids be removed? Excision that removes skin tag with scalpel by cutting it off. Laser skin tag removal by using specific wavelength of laser energy. Cryosurgery that freeze off skin tags using a probe containing liquid nitrogen. Cauterization that burns off skin tag using electric current passes through wire / probe-tip. The doctors will typically diagnose then recommend the surgery type, depending on your skin tag location and size. While you should consult your dermatologist or local medical institute for diagnosis to determine the exact cost, the estimation of the surgical skin tag removal cost range in US / UK / Australia indicated below could serve as your quick reference. When people are fazed by how much does it cost to remove skin tag surgically, it is natural that they look for alternatives, which is why over the counter skin tag removal cream and products come into the consideration – such as the 2 leading over the counter solutions below. 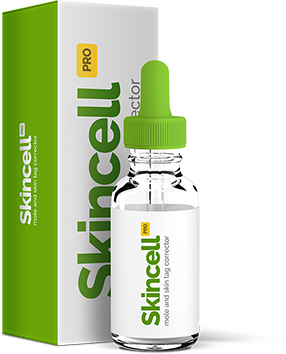 Recommendation #1: SkinCell Pro is topical solution formulated with all natural ingredients to get rid of skin tags and moles. SkinCell Pro uniquely combines flowering plant Sanguinaria Canadensis that stimulates white blood cells to remove a blemish, alongside natural mineral Zincum Muriaticum. 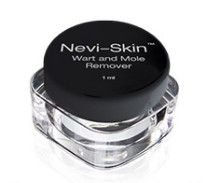 Recommendation #2: Nevi-Skin is a topical cream formulated with natural herbal extracts to get rid of skin tags, moles, genital warts, common warts, and plantar warts (verrucas). 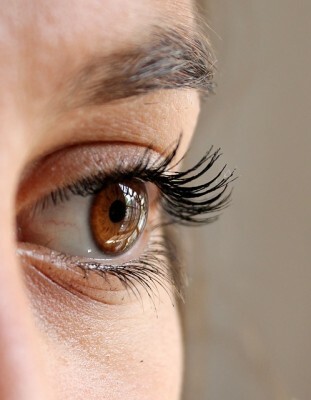 Eye is one of the sensitive parts in the body, and skin tags on eyelash line and around the eye could be disturbing. Having skin tag on lower / upper lash line will not be painful, but every time a person blinks the eye, skin tag may be irritating. For instance, if the skin tag is in the exact line of eye lash, then chances are that it may disturb the person and cause discomfort or even tears. Some people who have skin tags around the eyes feel if disturbing when they wash their face and drying the face. Having skin tags around the eyes may affect the look of the person. Sometimes those that have skin tags around eyes area seem to be tired and dull even though they are fresh. The colour of skin tags differs, with some skin tags around the eyes used to be worn out and dry which will make the person look tired and dull. Many ladies who have skin tag around their eyes feel bad as it affects their look in various ways. People tend to remove the skin tags around the eyes but the problem is the common perception about the skin tag removal hinders them to do that. A main concern about having the skin tags along the eyelash line is the treatment method. Since the area is very soft and delicate to treat, usually people fear that surgery may hurt or affect their eye lid or the eye because surgical procedure to get rid of skin tags on eyelash line may affect the eyes. Watch the video below that demonstrates removal of skin tags from eyelids using snip excision, for your reference. Choosing the treatment option to remove the skin tags around delicate area (like eyelid and eyelash line) must be careful with precautions. 1. Scarring. According to WebMD, scarring is one of the most important consideration factor when choosing treatment of wart and skin tag. A common concern among patients is having noticeable scar after skin tag surgical procedure. 2. Cost. As shown in the reference information of cost earlier, skin tag surgery may easily cost USD $200 till USD $600 and above, and these cost are not covered by health insurance because skin tag removal is cosmetic surgery and not medically necessary. 3. Location and Number of Skin Tags. The doctor will decide which surgery type is the most appropriate depending on the location, size and quantity of skin tags you have. 4. Pain Tolerance. As different individuals have different pain tolerance levels, skin tag surgery may not be appropriate for kids and some individuals. 5. Time Needed for Treatment. Surgery is usually faster in getting rid of skin tag compared to topical treatments. On the other hand, majority of the medical treatment methods may require repeated office visits, compared to over the counter treatment at home. While skin tag on lower / upper eyelid are harmless, these skin growth can be disturbing and adversely affect the self-esteem. Choosing the treatment option to get rid of skin tags around delicate eyes area must be careful, with surgeries and over the counter products are common solutions. If you are looking for topical OTC treatment, below table compares the 2 leading products for your reference to make an educated purchase decision. ← Wartrol Reviews: Doesn’t Work For Genital Warts Removal?